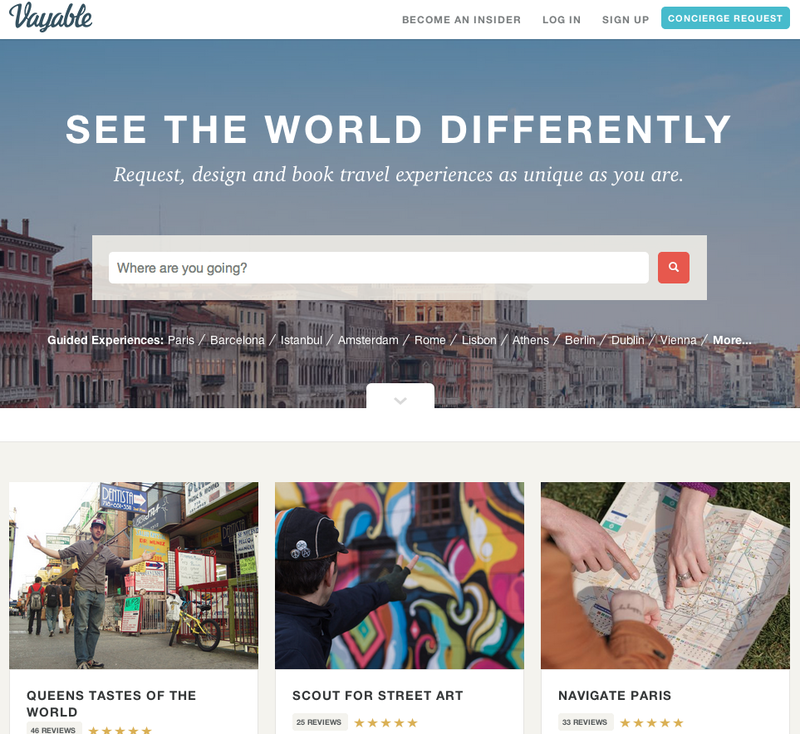 SIMPLY PUT, VAYABLE IS LIKE THE ETSY FOR TRAVEL. LOCAL EXPERTS IN NEARLY EVERY MAJOR CITY IN THE WORLD LIST EXPERIENCES THAT YOU CAN BOOK DIRECTLY WITH THEM. THIS ISN'T ANOTHER TOUR BOOKING COMPANY, IT'S A CHANCE TO EXPLORE A CITY WITH SOMEONE WHO LOVES WHERE THEY LIVE AND IS ENTHUSIASTIC ABOUT SHARING THEIR KNOWLEDGE WITH OTHERS. I've been using Vayable for about 2 years now and it's become my go to site anytime I start planning a trip. Prices vary, but are usually very reasonable and the experiences offered are unique and unlike anything you'll find on a normal tour booking site. We have always had excellent guides who are excited to tell us about their personal thoughts on the city and the culture; honest conversations you rarely get when you are on vacation. THE MARKETS OF LONDON - My husband and I booked a tour with Kelly and from the moment we met Kelly she instantly made us feel at ease and had the whole day planned out for us. She took us to some amazing places to eat unique food that we would have never found without her, showed us what was worth buying and what wasn't and spent the whole day telling us about life in London. She was so fabulous, ensuring that we had an unforgettable experience in London. We definitely felt like we walked away with a new friend and have kept in touch ever since. ITALIAN FAMILY DINNER - My husband and I booked this during our 1 month tour through Europe. We traveled to 7 countries and nothing beat this fun and unique experience. Doug picked us up from our hotel, took us to his warm home, introduced us to his wonderful wife Erica and their beautiful little girls. Erica cooked us a spectacular meal where she showed us how to make each dish and even printed us a menu along with recipes so that we could recreate them when we returned home. They were so inviting and told us wonderful stories of their life in Italy and gave us a true feel for what it is like to actually live in such a magical place. While we did not know what to expect when we first booked it, we now talk about it constantly and how it was one of our favorite memories of the whole trip. Doug and Erica are marvelous and we can't wait to go back to have dinner with them again. MIDNIGHT STREET FOOD TOUR - Jeff offers a different side of the NYC food scene by taking you out on the streets of Queens where a world of international cuisine appears below the metro tracks to serve the working-class as they return from their jobs in the city. Jeff has been building relationships with these food vendors for years by asking questions (in his attempt at white-boy Spanish) and showing a genuine interest to understand and promote the under-appreciated street food culture in this area. Jeff takes you street by street to try everything from fresh tamales and coconut milk to pig-ear tacos and goat stew. More than anything, we appreciated the authenticity of the food, the genuine kindness of the people and the merging of cultures that you don't get to experience in the Manhattan bubble. For a relatively low asking price compared to many other culinary tours, all food is included and you leave with just enough room to breathe. (Check out my full write up on NYC here).